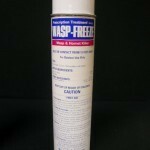 PRODUCT DESCRIPTION: An aerosol which dispenses chemical quickly for fast knockdown of flying pests like bees and wasps. Do not use inside as it will stain finely finished walls. 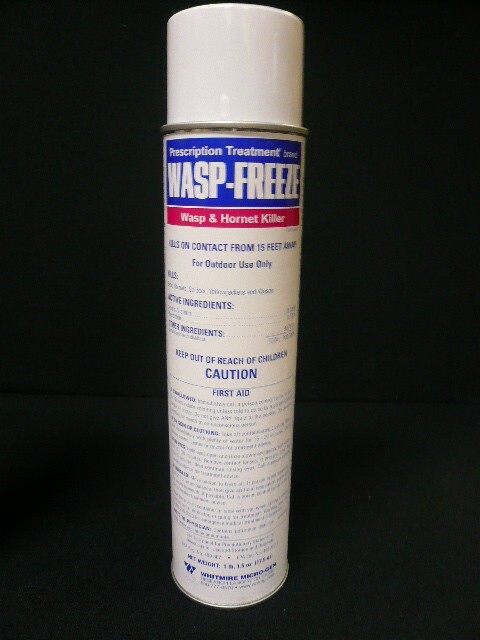 TARGET PESTS: Bees and Wasps. WHERE TO USE IT: Outside only around the perimeter of the home and in the yard. RATE OF APPLICATION: One can will spray it's contents quickly so make precise "squirts" at your target trying to get them as saturated as possible for a quick knockdown.